A casual chat the other day got me thinking; classic cars are quickly replacing fine art as the appreciating asset du jour among the well heeled. So most classic cars are now out of reach of your garden variety car guy. Called ‘investments’, these garage queens are destined for a life in a temperature regulated cocoon. But is there a future classic that has escaped the attention of the auctioneers and car trade speculators? In this era of excess and bored billionaires, barn finds have joined Bitcoin as the next global currency. TV shows like Chasing Classic Cars and Fast n Loud have caused outbuildings in small towns across the country to be torn apart in search of yet another rare Something Something Spyder. I can’t think of a single car made in the last decade that qualifies as a true classic—my definition being a car designed by a human, put together by craftsmen and made in limited quantities. So the search is on for the next big thing—which car is currently under the radar; a future classic just waiting to be discovered. Like 14-year-old Kate Moss standing in a queue at the airport. There’s the brilliant MX5, but Mazda recently made the millionth example of the thing. That’s like having a Xeroxed Picasso above the TV—nice to look at but neither rare nor exotic. Next on the list is the Range Rover Classic—starting out as a farmer’s implement that could be hosed out between fox hunts, the first press prototype recently appeared on Octane Magazine’s cover, fully restored. That’s done it. The chance of swapping a case of beer for a Range Rover hen coop are over. They are now ‘legitimate’ classics that can be restored and placed in museums. But there is one machine I’m prepared to bet on. Designed by Joji Nagashima, the daring BMW Z3 Roadster ruffled feathers when it was first launched in 1995. Built at BMW’s Spartanburg plant in the United States, it arrived in South Africa in 1997. It was initially thought of the as the ugly stepchild in the BMW stable, and looking at these images (which are straight out of the original marketing materials) it’s clear why. The styling is quirky, colour options border on offensive, and the initial engine offerings included a gutless 1.8 four cylinder—enough for doing house calls with hair care products, but not much else. But the BMW roadster DNA is there—the Z3 splices the graceful curves of the 507 (above) together with the hard chiselled angles of the Z1 (below). The layout is classic roadster; a long bonnet, short rear end and flared wheel arches make it look muscular and purposeful. There were several engines available, but anything under six cylinders is a sin. The only ones worth considering are the 2.8 and 3.0—the limited M Sport version being out of touch at proper supercar prices. More importantly, the Z3 Roadster is a driver’s car. Those six cylinders offer plenty of grunt, and enough horsepower to get the tail out on a spirited drive. And don’t forget, one of the greatest BMWs of all time was born from this same platform—the rare, very desirable and very collectible BMW M Coupe shares several body panels and interior bits with the Z3. Another positive is that convertibles are normally weekend cars which have been well kept and garaged most of their lives. 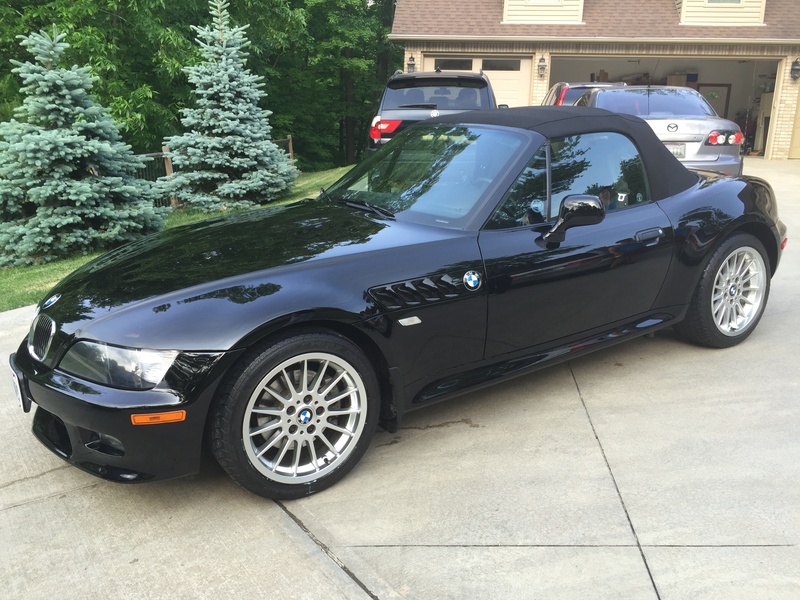 Right now there are several Z3 Roadsters in the online classifieds—relatively low milers that are getting on in years. A really decent example will cost the same as two new 15” Macbook Pros, or 120 cases of premium craft beer. The Z3 is a future classic, but only to the enlightened. Get one now, before the one percent get wind of it. Images courtesy of BMW Press.